Yap! 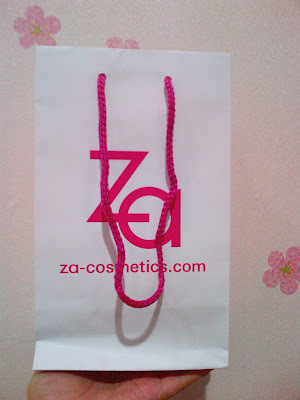 Today I went to ZA Beauty Show. It was held at Mall Kelapa Gading. 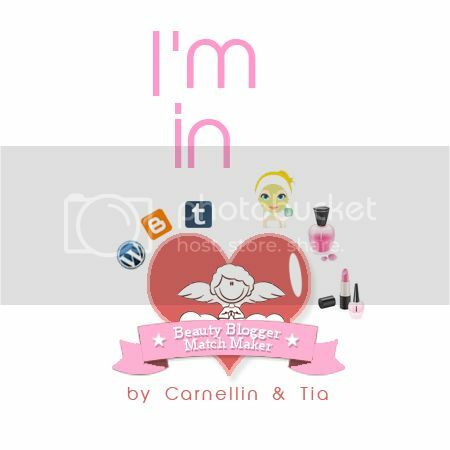 This is my first attendance to a beauty event, btw. 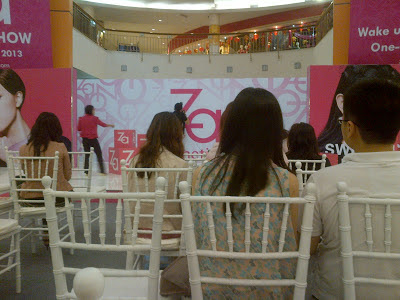 They said it's at Atrium MKG3, but when I went there, it wasn't ZA Beauty Show location. It was Morinaga's occasion. 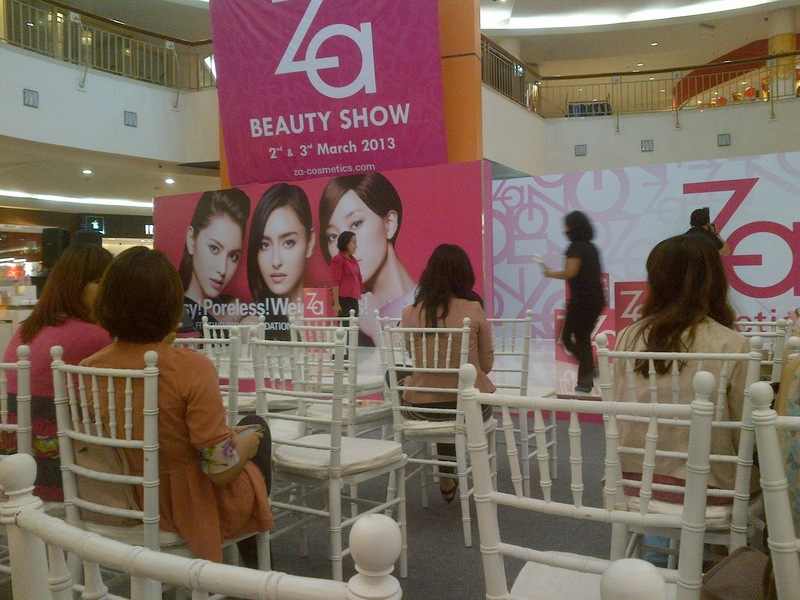 So I was looking around and found that ZA Beauty Show held at Atrium MKG5. Seriously, it's at MKG5, not 3. Haha. 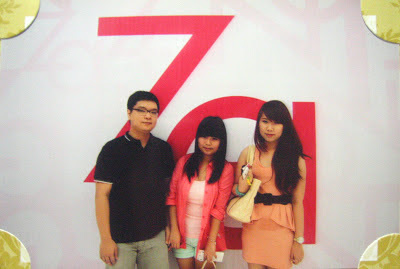 When I came to MKG, it was about 10.30 AM, so me and my bf decided to have brunch at Gokana Tepan and watching movie. We watched Jack The Giant Slayer at 12.30PM and finished around 2.15 PM. The announcement said beauty show will be held at 2 PM. Think that I will be late for the event? Nope. As I expected, the beauty show would be late and I was right. Haha. ZA started their beauty show around 3 PM. 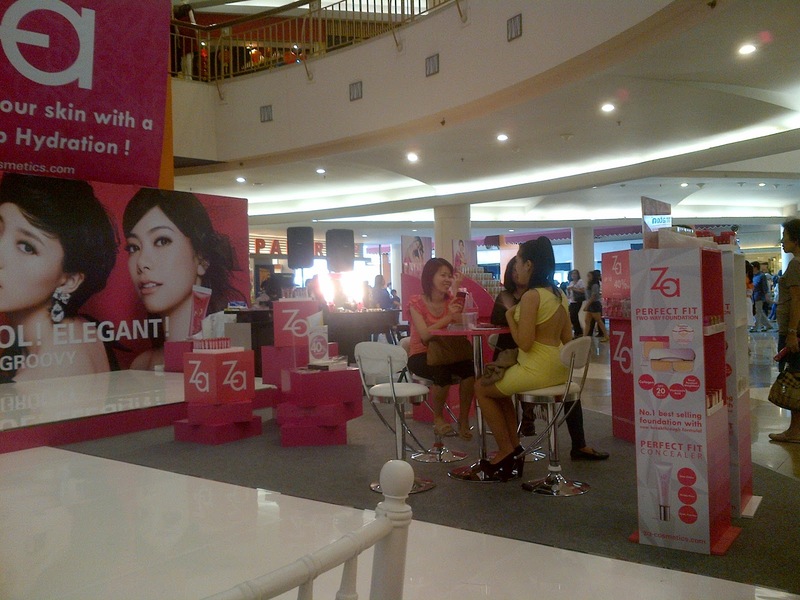 As you can see on the photos, it wasn't too crowded and full of participants even it was already 2.30 PM. Yippie! 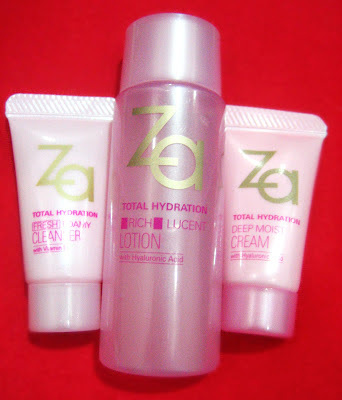 I got a free photo from ZA beauty show. (left to right : my bf - me - Claren). We took it before the show go on. We all were shy cause we must pose in front of ZA symbol and it's a main screen in main stage. OMG! People saw us when we take that photo #shy.